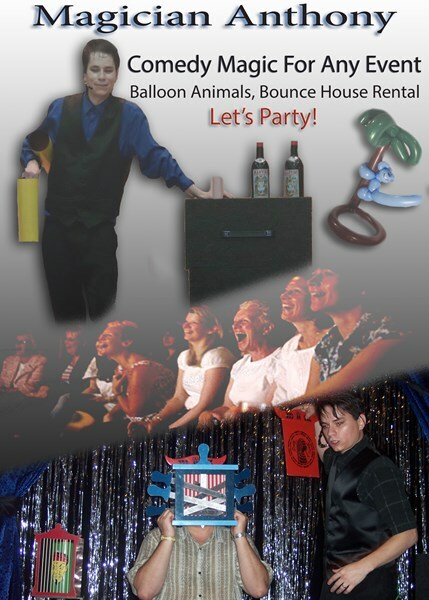 Magician, Balloon Animals & Bounce House Rental. I'm not Milwaukee's top magician. I'm Milwaukee's Top Publicly Reviewed Magician. I perform magic for children and adults alike. I work in the art of comedy, slight of hand and illusions. See a new twist on some of magic's classic routines! As a magician I look to amuse you and lead you to question and ponder your imagination to the next level. Let me bring the stage to your next event. Let's party! Tarot card readings with walk around strolling magic and or balloons! Stage shows are available. This would include 2 performers. Myself as the magician, and my Tarot card reader who also works at one of the oldest magic bars in Milwaukee, WI. Just read the five star Halloween review we received from the city of Dundee, IL! Balloon twisting fun with music, use my classic oldies music or use your own music. Small magic show for birthday individual or person of choice. Add on a Bounce House up to 3 hours of entertainment, with bounce house rental. 45 minute magic show with no sound system no backdrop. 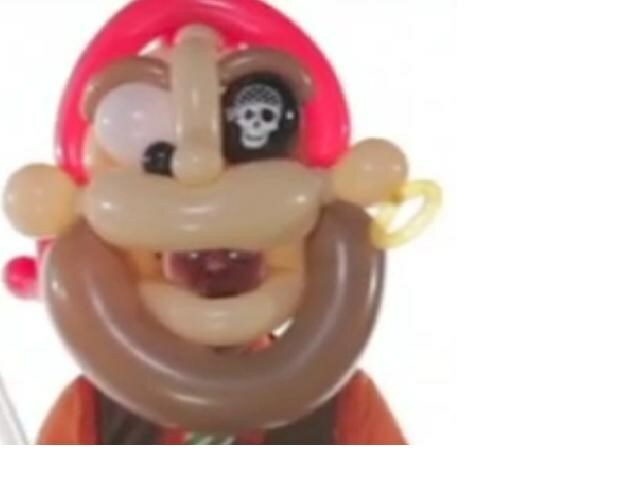 One balloon hat or balloon character of choice for birthday child only. This pack is for small party's. 45-60 min magic show for adults and children or just adults. With backdrop, sound system, small illusions, birthday child levitation table for photos 8 years and younger. Audience member has their head vanished in a box with swords and more, 8 years and up! 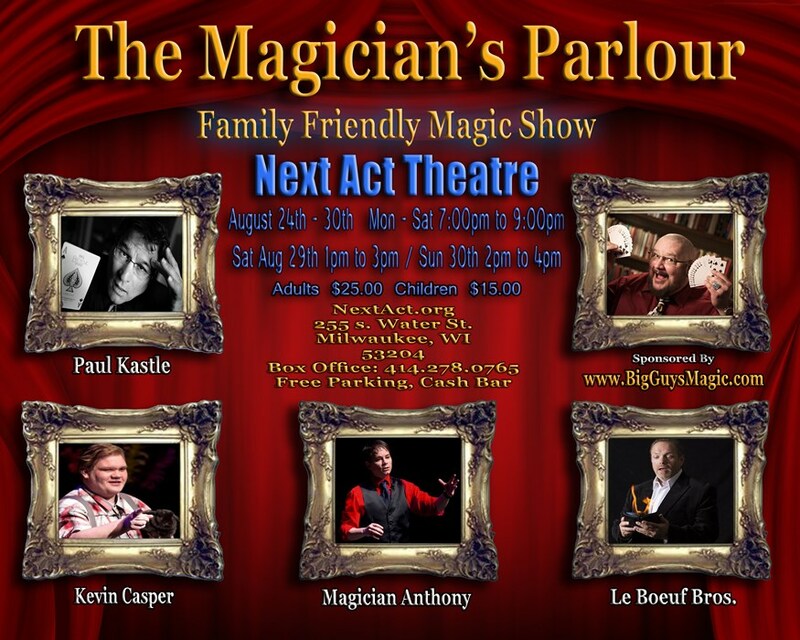 This parlor magic show is made for small and large events from festivals to at home birthday magic. You also get a Free *Magic Kit and Wand! On top of that you get a choice of an over sized hats. You can view the size of the hat by looking at the Witch photo I have in my gallery. At no time will I ever share your info. I do no fill out paperwork after the event has been worked. All w9 and other forms will have to be filled out next time. Thank you. Magic Anthony did great! I hired him for my family reunion. He did balloon animals for hours (which were amazing!) making crowns, scorpions, penguins (stuff I have never seen). Anthony also set up his magic show in front of the family (large crowd) and kept everyone engaged. I liked that he got the kids involved during the performance. I was also thankful that he had suggested bringing his bouncy house for a small additional fee. Thank you Magic Anthony, we will see you again! Anthony did our Cub Scout Blue and Gold banquet. He was awesome with the 30+ kids and was very flexible when timing for him to go on stage got off. I got a positive vibe when booking and I had little to worry about as all I had to do was show up. He didn’t disappoint and I would highly recommend him. I want to thank Magic Anthony for coming to my sons party. He did an amazing job. He’s tricks we’re really good I myself was amazed. I received compliments from family and friends. I recommend him to anyone who wants someone fun and energetic. Everyone enjoyed the evening. Magician Anthony kept in touch with me before the event and I was less stressed because of that. The tarot card reader was great as well. As a was writing this review an employee came to my office and thank us for such a great evening and agreed the magician was great! He was fantastic. Simple as that. It was funny because the adults were basically following him around because they couldn't get enough. They were all getting so upset that they couldn't figure out the magic. Definitely recommend. I didn't actually get to see his act as i was running between 4 different locations during our event, so i could not comment on his talent from personal knowledge, but the clapping from the crowd indicated our guests enjoyed the show. Magician Anthony was a hit with the adult only crowd. Everyone enjoyed his humor and balloon twisting. Kevin the Tarot card reader was amazing. Everyone said the experience was one in a million. Thanks for coming out to our small town on a cold and rainy night!! Put your left foot in! Please note Magician Anthony will also travel to Sturtevant, Kenosha, Somers, Caledonia, Franksville, Oak Creek, South Milwaukee, Union Grove, Pleasant Prairie, Cudahy, Franklin, Milwaukee, Winthrop Harbor, Kansasville, Russell, Saint Francis, Woodworth, Bristol, Greendale, Zion, Hales Corners, Salem, Benet Lake, Muskego, Rochester, Wadsworth, Waterford, Camp Lake, Silver Lake, Trevor.